> Welcome to the Tiny Fashion Resort! An adorable adventure for little fashionistas! > Collect stars to move up levels for hours of fun! Earn cake coins to purchase the latest trends in fashion! > Enjoy fashion fun, experience the spa & face paint salon and explore the exciting recording studio! Experience your own adorable adventure in Tiny Fashion Resort with Mia, Gabi, Molly, and Becca! Earn cake coins to unlock new items. You can earn more coins as you move up in the different levels! The possibilities for fun are endless! Bath Time & Face Paint Salon With Babies! The sweetest babies go to the bath! 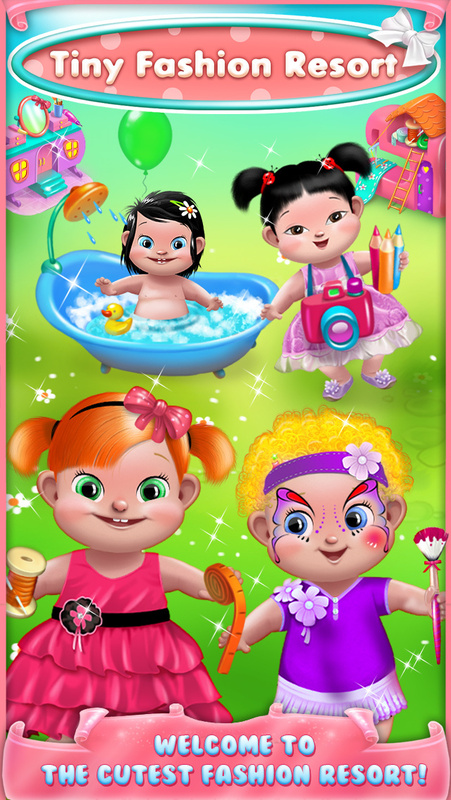 Relax with different shampoo & soaps in the baby beauty parlor! At their face paint beauty salon use fun face paint makeup like eye, nose, cheeks and lips paint blush! Magical Design & Dress Up Houses! Design baby clothes in their Fashion Design house! 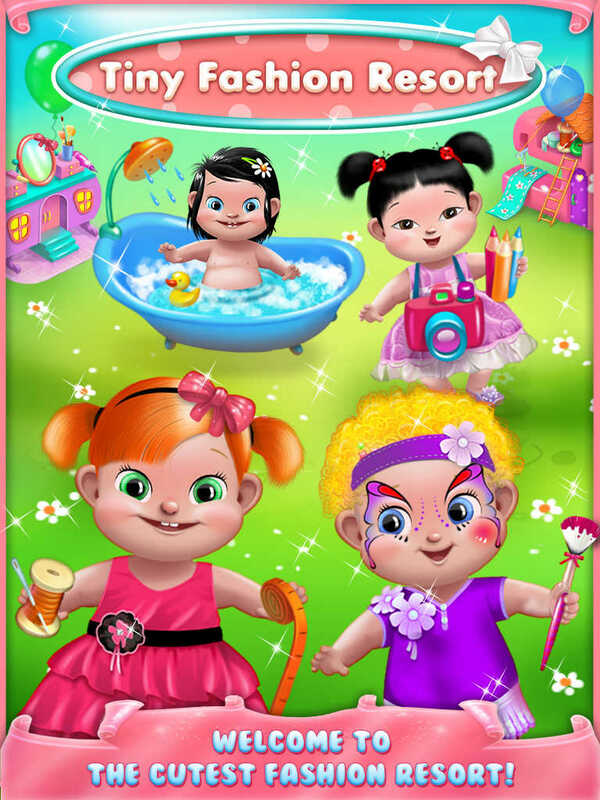 Head to their dress up house on their map and assemble new clothes from an amazing selection of clothing, accessories, and more to make the perfect baby outfit! Hidden Objects - Find The Object Mini Game! Look closely! Find the object you need from dozens on the page! Keep track of the items you find with the special counter on the page! Complete your baby’s fashion with an amazing selection of clothing and face paint makeup from the village’s boutique! Earn cake coins and buy your baby tons of cute clothing! Studio Adventures & Card Designer! Create your own baby story in the studio when you record your own voice! Show off your style in 4 different fairy themed scenes! Make the baby memories last forever with the card designer, too! > Tap the map to visit different houses in the Tiny Fashion Resort! > Earn stars & cake coins in each scene! > Select a character from four sweet babies! > Swipe through an amazing selection of face paint, like butterfly paint, Clown paint, Kitty Cat & more! > Drag to design your own amazing baby clothes with paint, stickers, & buttons to add on! 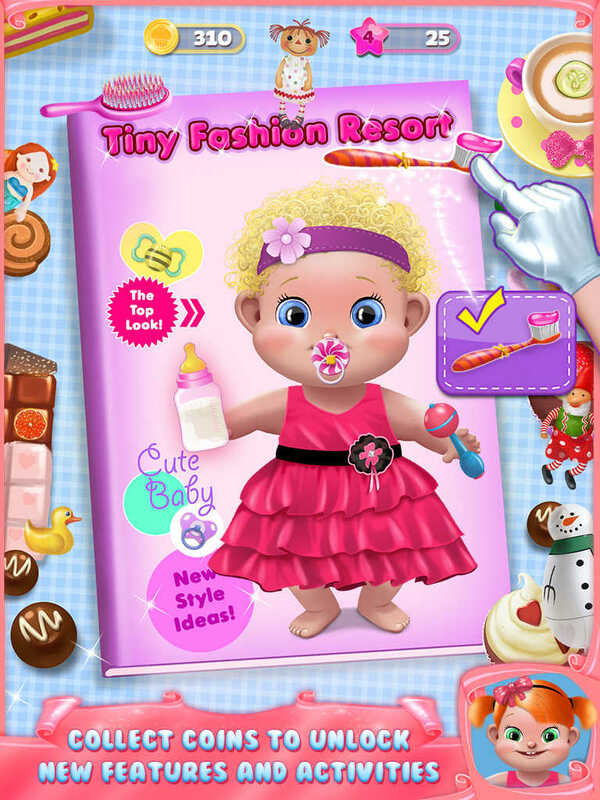 > Click to dress up the baby in cute outfits of your choosing! > Model your design in different scenes in the studio & show your family and friends! 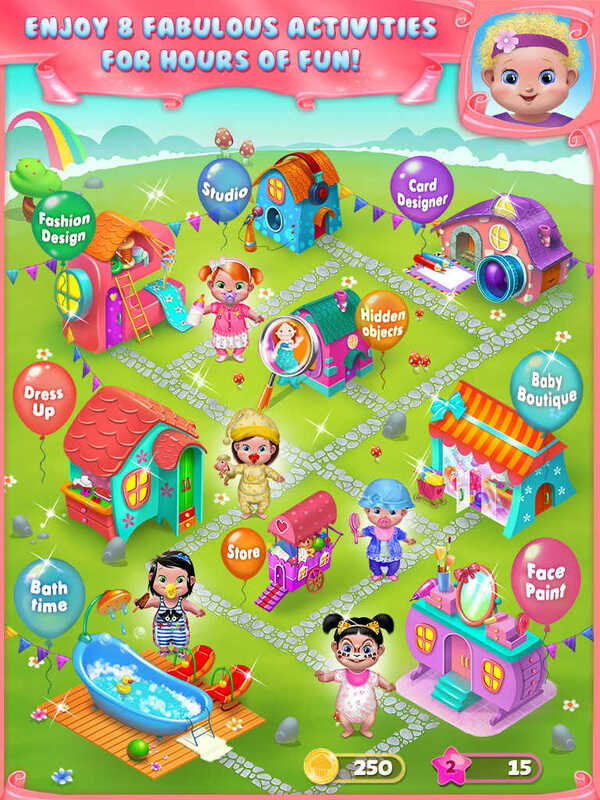 > 7 different houses & activities: dress up, fashion design, Bath Time, Face Paint salon, card designer, studio, hidden objects & boutique! > 15 outfits, 10 dress up categories, 7 face paint categories! > Dozens of accessories like necklaces, hats, and bibs!